This BMCA control is compatible with the 1996 (ED) and newer Modular Wiring System. This control supports the SystemCheck™ engine monitoring system and allows single-lever control of an Evinrude® or Johnson® outboard motor. To Installer and Owner - INSTALLER: Give these instructions to owner. OWNER: Read section Remote Control Operation, and also Operator Test, located at the end of this document, before you operate your boat. Keep these instructions with your Operator's Manual. Emergency Stop Switch Operation - Push clip (A) onto emergency stop switch. Attach lanyard (B) securely to clothing. If operator is thrown from helm, lanyard will pull clip off stop switch and stop motor. In an emergency, a passenger can put remote control in NEUTRAL, hold stop switch button IN, and restart motor without lanyard. Shift Disengage - Use to open throttle without shifting into gear (for easier starting if motor does not have QuikStart™ electronic starting). 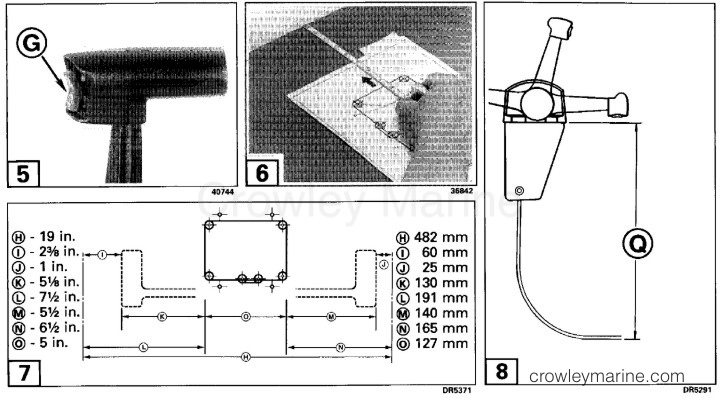 With control in NEUTRAL (A), pull handle out and move to shift detent position (B) or (C). Move handle more to open throttle for starting and warm-up. The shift will re-engage when the handle is returned to NEUTRAL. Turn key (D) ON. The horn will beep to indicate it is working. Turn key to START position. If priming is required, push and hold key IN and turn to START. Release key as soon as motor starts. Push key IN momentarily (in ON position) for additional enrichment to keep motor running; DO NOT turn key to START. NOTE: Pull handle part way back as soon as motor starts. Do not run a cold motor any faster than necessary to keep motor from stalling. Do not exceed 2500 RPM. Motors with QuikStart, wait until motor slows to normal idle RPM before shifting into gear. A minimum of 19 in. (482 mm) (H) of fore-and-aft space is needed to operate this control This will provide 2 3/8 in. (60 mm) (I) hand clearance in front of the handle at wide-open throttle (W.O.T.) in FORWARD, and 1 in. (25 mm) (J) behind the handle at W.O.T. in REVERSE. Note additional clearance (P) that is required to get maximum throttle in REVERSE. Remove template from instructions and place at proposed location. Check handle and hand clearance dimensions in FORWARD and REVERSE W.O.T. positions. 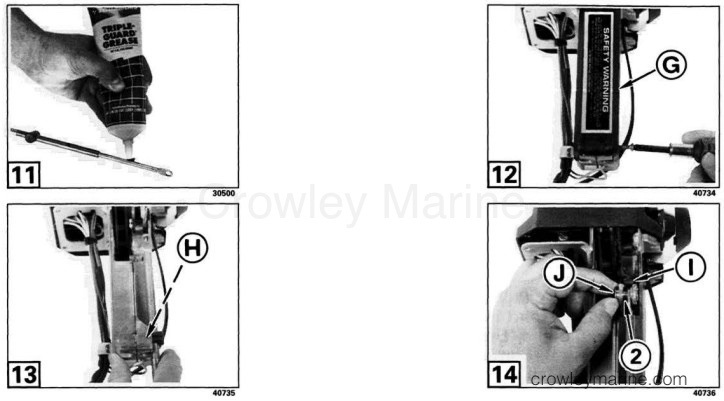 Move template until a satisfactory control position is found, and tape template in place with arrow pointing to front of boat. There must be at least 20 3/4 in. (527 mm) (Q) of clear space below the mounting surface for the control cables. From center of control at (A) or (B), measure along intended cable route to motor centerline (C) at transom height - as illustrated by dotted lines. Add 3 ft. 4 in. (1,02 m) to measurement. This dimension is the required cable length. Control cables are available in one foot increments from five foot to twenty foot length, and in two foot increments to fifty foot length. Pick cables that are equal to your calculated length, or are the next longer available length. Use correct length cables. The wrong length cable can bind, causing control to jam during operation. Remove tray screw and cover tray (G) to expose shift and throttle levers. Insert the shift cable trunnion into the port trunnion pocket (H). Shift control into REVERSE. Insert clevis pin (2) through shift lever (I) and cable end. Head of pin (J) must be toward the center of remote control. Clevis pin must snap into the plastic bushing, or pin could fall out or jam control. Insert throttle cable trunnion into the starboard trunnion cavity (A). 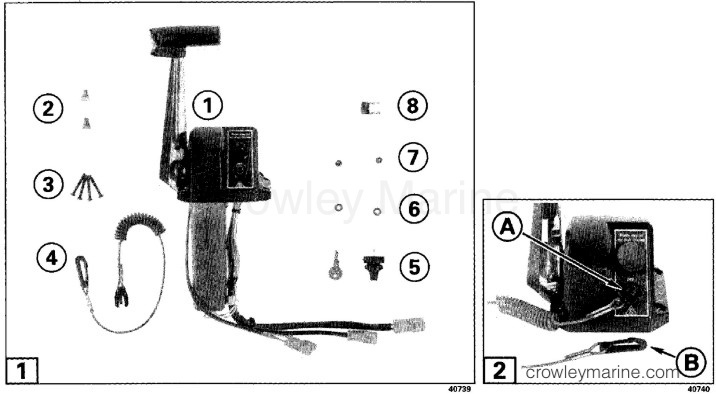 Pull control handle to three-quarter throttle in REVERSE and insert clevis pin (2) through throttle lever (B) and cable end. Head of pin (C) must be toward center of remote control. Clevis pin must snap into the plastic bushing or pin could fall out of jam control. With control handle in full-throttle REVERSE position, the control levers and cables should be as shown. Replace cover tray with center web of tray between shift and throttle levers. Replace cover tray screw and tighten securely. The cover tray holds the cable trunnions in the trunnion pockets and the clevis pins in the shift and throttle levers. If the cover tray is not in place and secured, the trunnions or clevis pins can come out and the operator would not be able to control motor speed or direction of thrust. Check that remote control handle operates freely and equal friction is felt in FORWARD and REVERSE throttle range of handle. Any binding could cause control to jam. Always disconnect cables from battery before drilling or sawing near electrical wires to prevent possible injury from shorting a hot wire to ground. 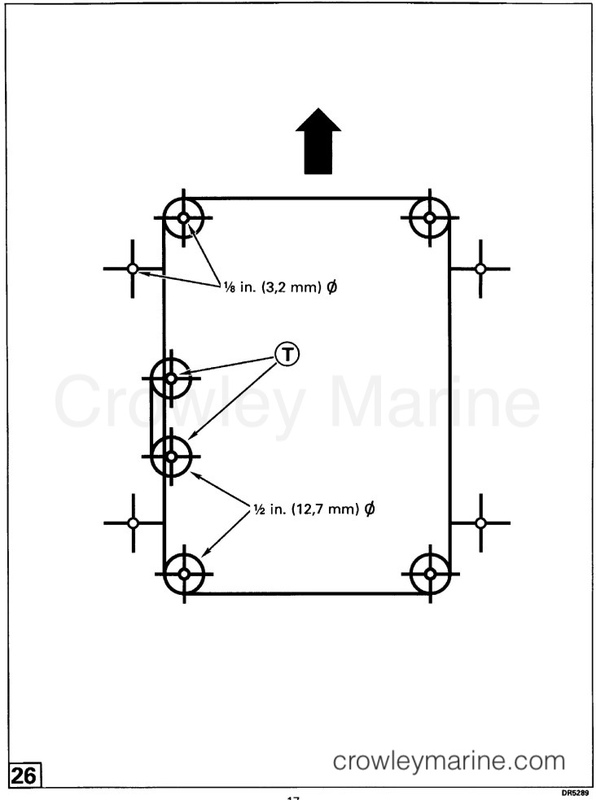 With template at your selected control location, center punch and drill 1/8 in. (3,2 mm), and 1/2 in. (12,7 mm) through mounting surface, being careful that the 1/2 in. (12,7 mm) holes stay inside lines of template. Center punch and drill holes marked with a "T" ONLY IF YOUR CONTROL HAS TRIM. Use a saber saw to carefully cut out mounting hole, staying INSIDE the line. Remove template. Route control cables aft to motors with no sharp bends. All bends must have a 6 in. (15 cm) or larger radius. Immediately before joining, apply a light coat of Electrical Grease to seal (D), (E), and (F). Align connector halves and push together until latched. Position remote control in cutout and secure cover and control with mounting screws (3) provided. You must provide a 12 in. (30 cm) minimum loop (G) in cables between last boat fastener and motor anchoring point. Before connecting cables to motor, check that control operates freely, and shift re-engages in NEUTRAL after disengaging for warm-up. Check that equal friction is felt in FORWARD and REVERSE throttle range of control handle. Any binding could cause control to jam when cables are attached to motor. 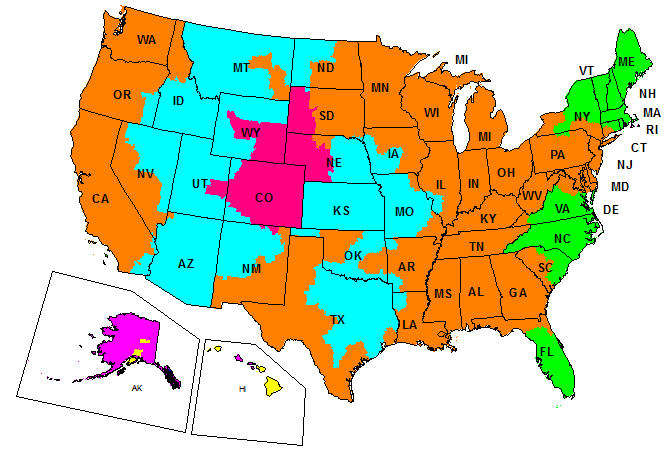 Refer to service manual for cable connection procedures. Check to be sure cables are attached on the correct lever. Place control handle in NEUTRAL. Pull out on control handle and move handle to FORWARD or REVERSE detent. No cable should move. Continue moving handle to wide-open-throttle position. Only the throttle cable should move. 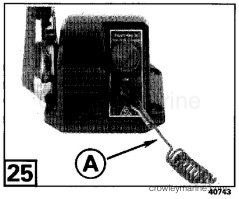 Remove clip (4) from emergency stop switch, separate connector between charge coil and ignition module, or disconnect all spark plug wires to keep motor from starting. This remote control is designed to crank motor in NEUTRAL only. If control handle is "in-gear," starter will not operate. Use this test to make certain starter motor will NOT operate when control handle is in FORWARD or REVERSE and WILL operate when handle is in NEUTRAL. Turn key (5) to START position. The starter should operate. When testing boat in water, tie it securely to dock to prevent motion. Attach lanyard clip (4) to stop switch. Place control handle in NEUTRAL position. 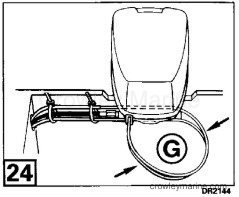 If motor does not have QuikStart, pull control handle out and move handle to FORWARD shift detent position. Move handle more to open throttle for starting and warm-up. Turn key (5) ON. The horn will beep to indicate it is working. Turn key to START position. If priming is required, push and hold key IN and turn to START. Release key as soon as motor starts. Push key IN momentarily (in ON position) for additional enrichment to keep motor running - - DO NOT turn key to START with motor running. Test operation of Emergency Stop Switch - Test stop switch every 30 days. Start motor and check operation of stop switch by pulling lanyard (A) to remove clip from ignition switch. If motor does not stop, return control to dealer for repair.